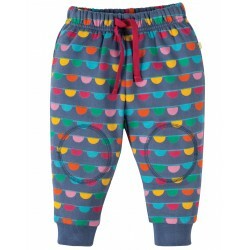 Morbida e colorata maglietta maniche lunghe in cotone biologico GOTS interlock con una simpatica applique, perfetta da abbinare ai pantaloni della stessa linea! 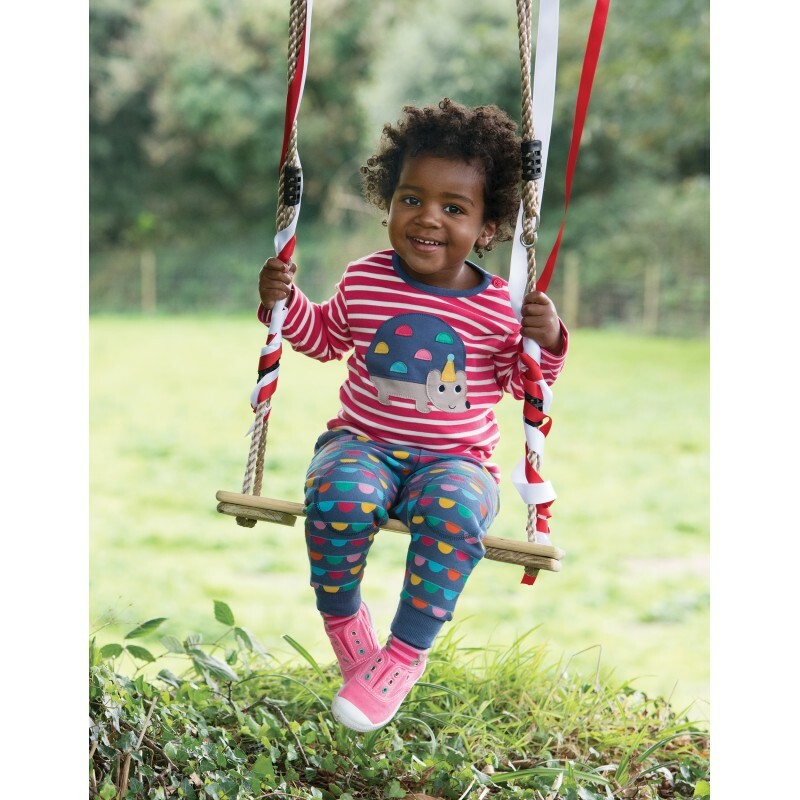 This brand NEW Button Applique Top is made from scrumptious organic cotton interlock, making it both super soft and durable, with a hint of elastane in the neck for extra stretch and comfort. 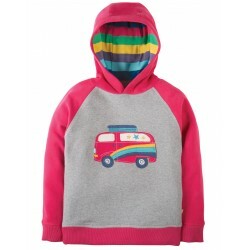 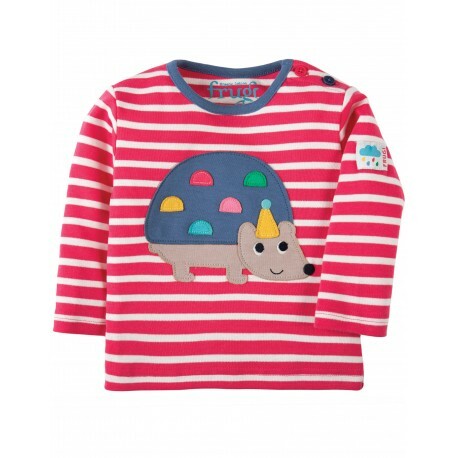 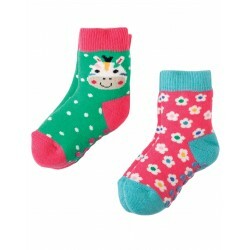 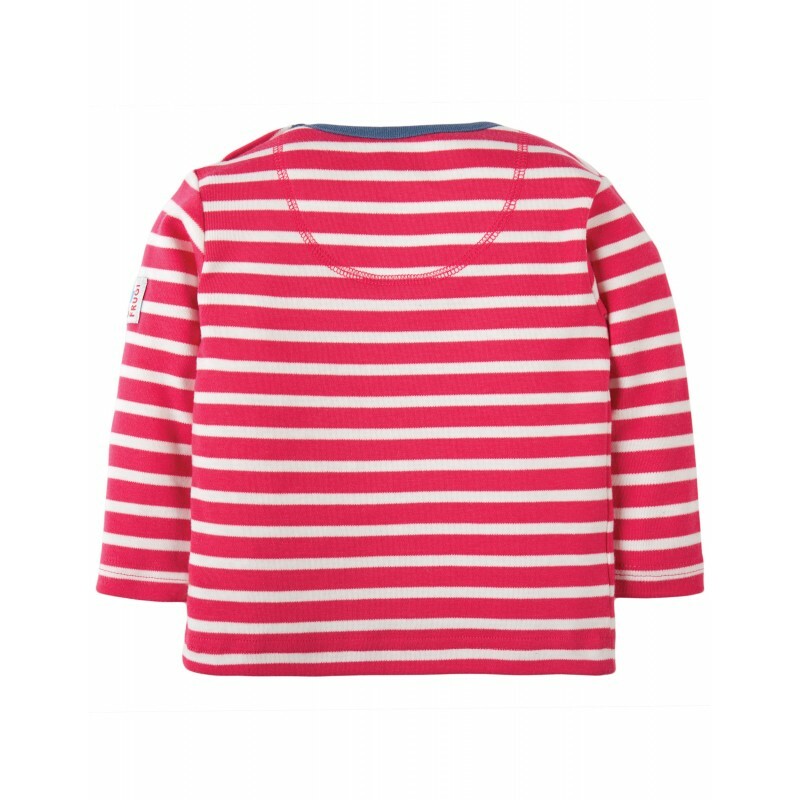 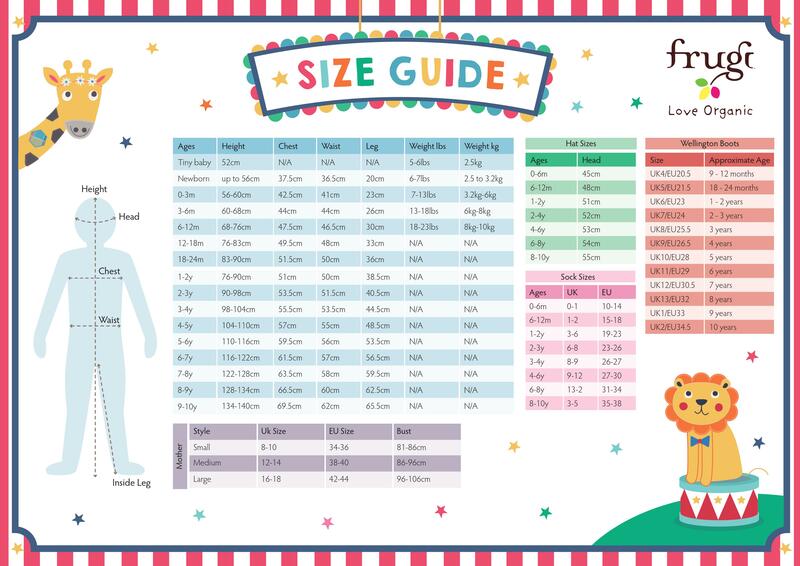 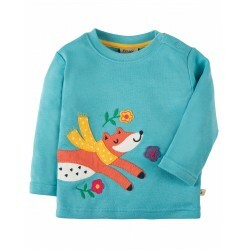 In a fab stripe with a fun and colourful Frugi character applique on the front, this long-sleeved top has a sweet Frugi branded patch on the arm, and two coloured buttons to the side of the neck to help make changing times easier!